Quick overview The Archer T6E upgrades your desktop PC to the most powerful Wi-Fi technology available. Stream HD video and game online with faster speeds up to 867Mbps on 5Ghz and 400Mbps on 2.4GHz with 256QAM. Play longer thanks to an aluminum alloy heat sink that keeps the adapter cool for optimal performance. 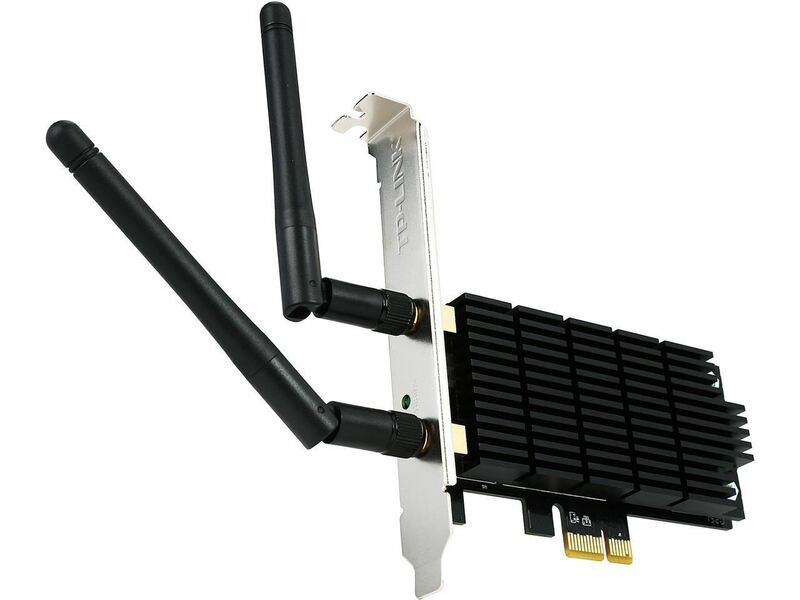 Upgrade your desktop PC to 802.11ac with 256QAM and experience smooth wireless performance during HD video streaming and gaming online.AC1300 class performance delivers fast Wi-Fi over 2.4GHz (400Mbps) or 5GHz (867Mbps) bands.